Martin Jensen’s latest single ‘Solo Dance’ recently went Platinum in the UK, selling over 600,000 units over the past months, while internationally it’s been a chart hit in over 10 countries, picking up 273 millions streams. Testament to the appeal of the song, Martin has now released a new acoustic version and a club mix of ‘Solo Dance’ (From Morning To Midnight), both are available now. The global success of ‘Solo Dance’ follows four previous singles (since his debut in 2015) that have clocked up more than 100 million streams between them and landed him Platinum and Gold awards across Europe. Jensen is signed to 3 Beat in the UK, label home of Sigma, Dimitri Vegas & Like Mike, High Contrast and many more. At only 25 years old, Martin has approximately 2.5 million plus Facebook followers, apparently more than fellow Danes MØ, Lukas Graham and Volbeat, and last November he became the first Danish DJ since Trentemøller in 2007 to debut in DJ Mag’s annual publicly voted Top 100 DJs Poll. Martin’s debut single, ‘Sí’, a remix of a Cristiano Ronaldo celebration at the 2014 FIFA Ballon d'Or, went viral and gained him fans in many Latin countries. His breakthrough came with ‘Miracles’ in 2015, featuring Danish singer Bjørnskov. In 2016, he had his biggest hit yet, ‘All I Wanna Do’, with more than 80 million streams on Spotify. Though he harboured ambitions to becoming a lighting engineer (and to create lightshows for other artists), the allure of the DJ booth proved to strong for Jensen, and after cutting his teeth in local clubs he wanted to make music his full-time career. 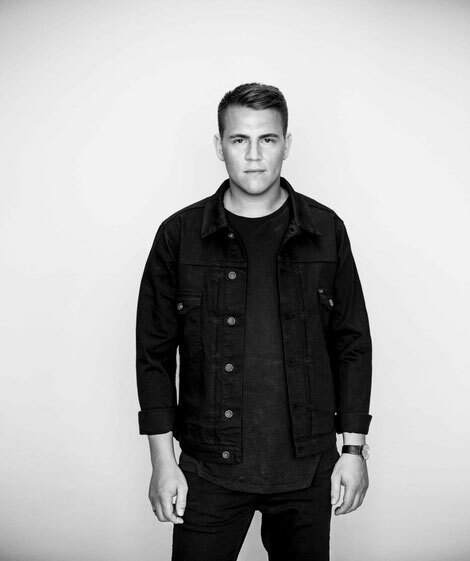 He’s since played festivals all over Europe and South America, scheduled tours in Asia, made his first Ibiza appearance at the legendary Amnesia, and recently collaborated with The Vamps. Check the video for the original below.